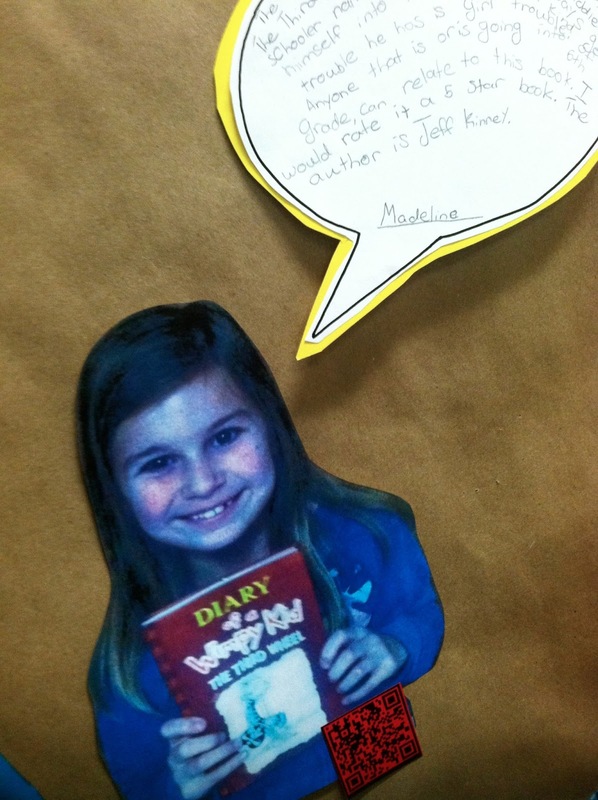 Talking Book Talks In Our Hallways and Library Books! 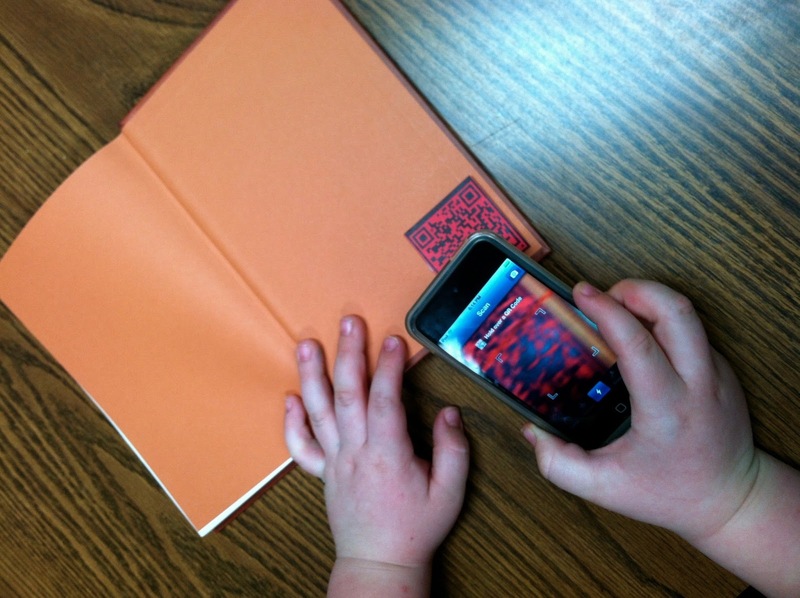 Everyone loves scanning QR codes. Especially when they take you to something really fun. And to make it even better....The QR codes takes you to something that someone in your school created. The 5th graders at Van Meter have been creating something that everyone is going think is a lot of fun. After writing and presenting book talks within their classroom, they brought them to the library where we have been creating digital book talks during our weekly library and technology time. 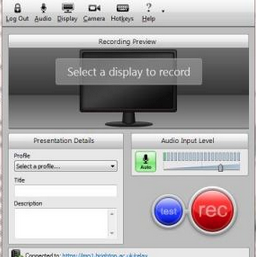 We are using Camtasia Relay from TechSmith, which allows us to capture the screen and record a video of the students at the same time. It is very easy to publish and share the presentations. 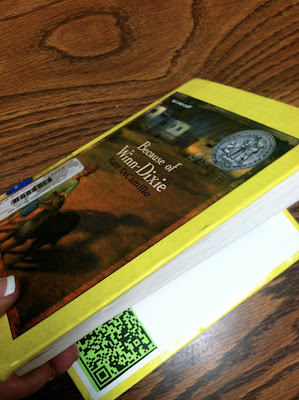 The 5th graders pulled up a website that highlighted their author and book....perhaps the authors website, an image of the book cover, or an activity that complimented the book that they read. They were able to use their notecards to help them with the presentation, any props they might have created, and the book itself. Once they were all set up, we recorded the book talk. When they were finished we trimmed the clip and then uploaded it to our EduVision Channel. 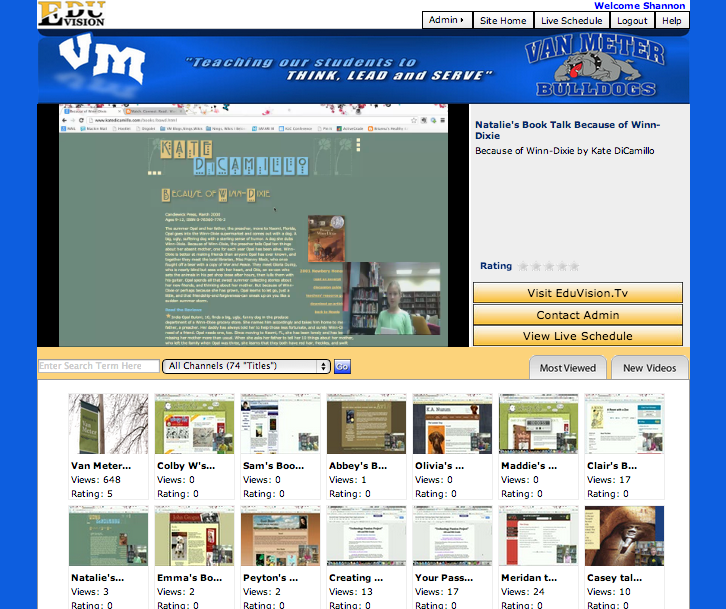 I approved the book talks and now everyone can view them at Van Meter Bulldog TV (EduVision). Now that the book talks are online, we wanted to give our school community a few fun ways to watch them. 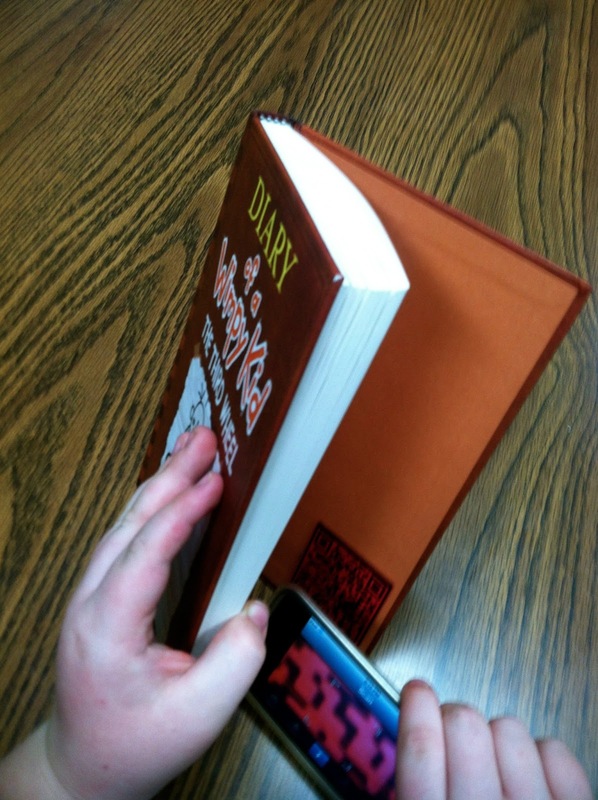 I took pictures of the 5th graders holding their book, printed them on cardstock, and cut around each one. 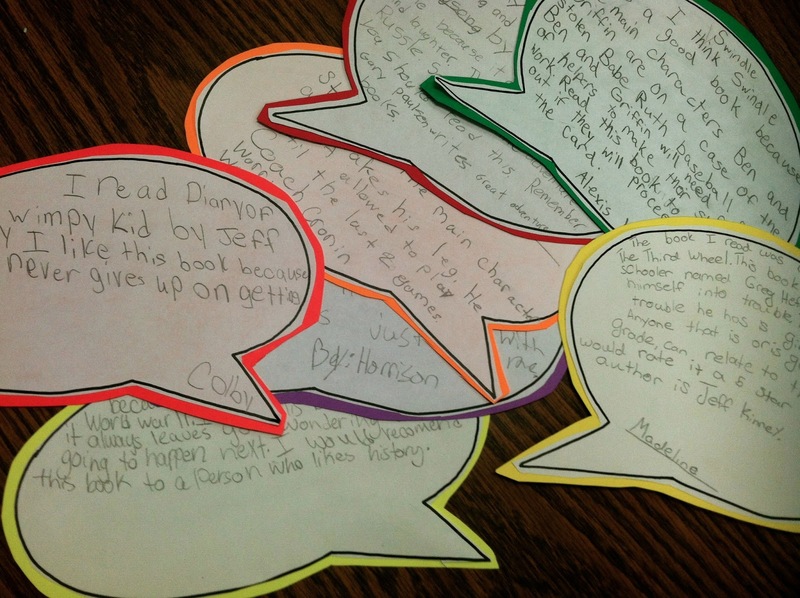 I also had each student create a "Book Talk Bubble" to go along with their book too. We posted these around the library first and took them down as we needed them this week to post with their pictures. 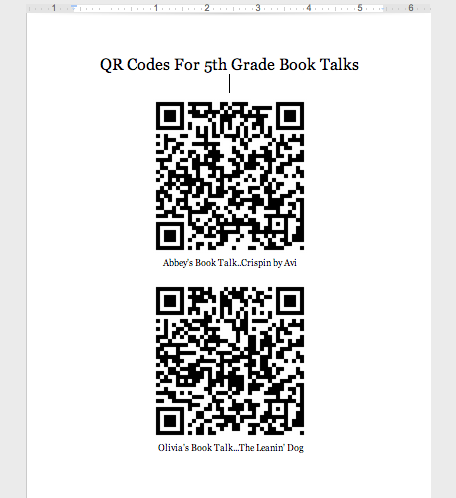 Next we took the unique URL for each book talk within EduVision and created a QR code using Kaywa. After each QR code was created I saved them all by placing them into a Google Doc. 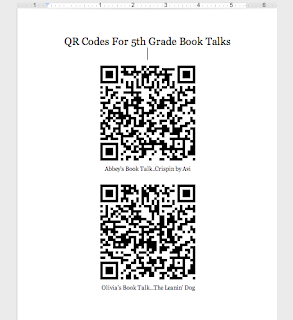 At the bottom of their picture and book talk bubble, I placed the QR code for their book talk. These will be easy for students, teachers, and others to scan as they visit the displays within the library and hallway. 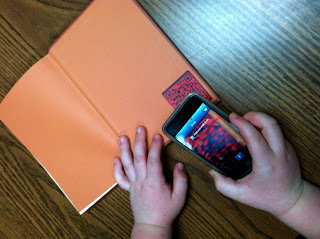 I also took another copy of each QR code and placed them in the back of the books that were used for their book talks. It will be so much fun for our students to find these in the back of the book and scan them to learn more about a particular title or author. We are really excited about being able to create, publish, save, and share book talks like this now. 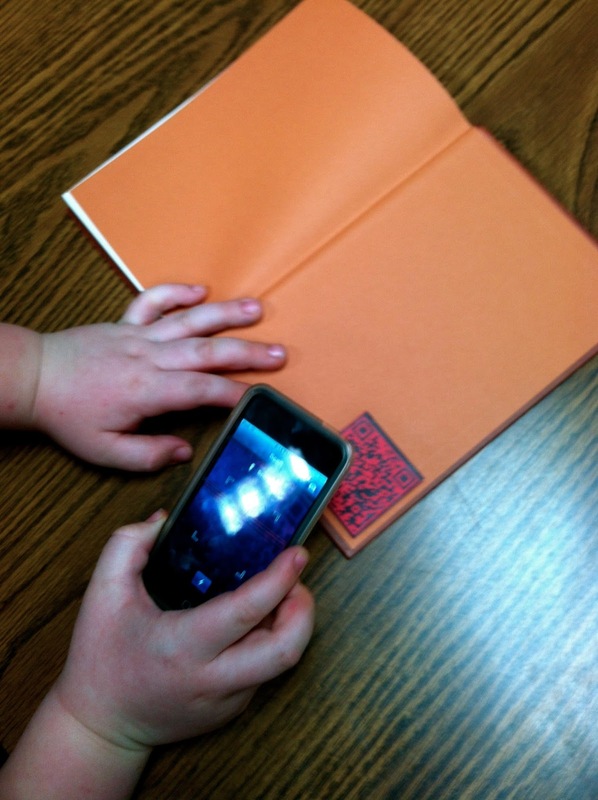 The next time the 5th graders record a book talk or something else, they will even be able to do it themselves. 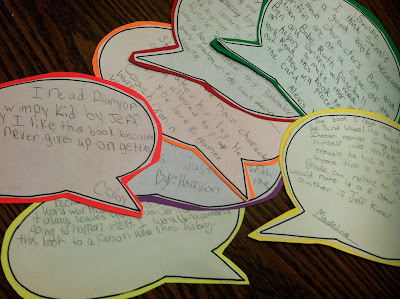 Once we have all of the book talks we will be sure to share them with all of you too. We had a very fun day at Van Meter! The kindergarten, first, and second graders had a special visit with Holly Surplice, author and illustrator of Guinea Pig Party. We Skyped with her from Great Britain. 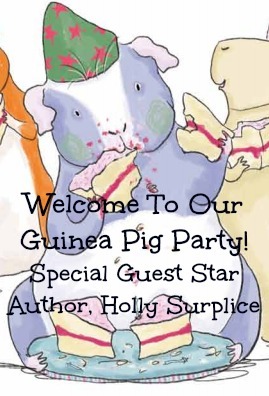 Holly read Guinea Pig Party and everyone loved it. The students then thanked Holly for visiting and asked her questions. One of our 2nd graders asked her how to get a book published and another wanted to know how to draw such great illustrations. Holly showed them how she draws her illustrations on the computer and by using other digital tools. After Holly's visit, we had another very special guest. Our friend Christa (and mom of two of our students) brought their new guinea pig Cutie for everyone to meet. And Miss McClintock's class loved checking out where Cutie lived too. And no "Guinea Pig Party" is complete without cupcakes. My little guy Hagan, who is in 2nd grade, helped me make the cupcakes on our snow day yesterday...He loved passing them out to his classmates too. 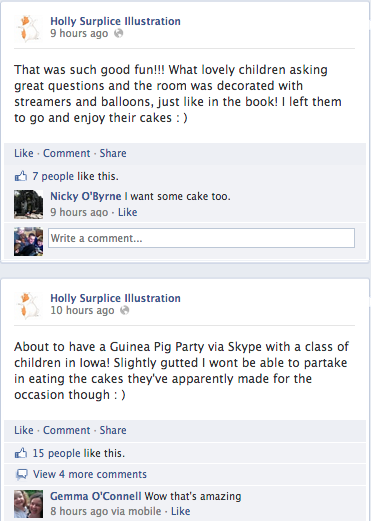 It was so neat reading Holly's Facebook and Twitter posts today. Amazing that technology can bring together such a great experience for everyone. Thank you so much Holly for Skyping with our little people....Everyone loved it so much. We can't wait to see you again. And thank you Christa for bringing Cutie, making yummy cupcakes, and for putting on a great Guinea Pig Party. 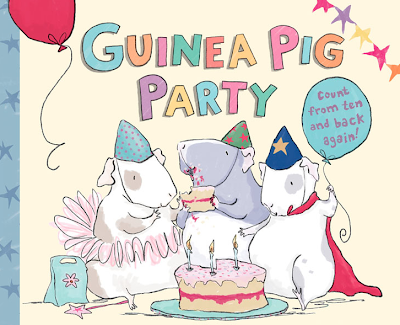 Guinea Pig Party is a beautiful book that everyone should have in their library. A Day To Make A Difference, A Day To Celebrate Literacy With Everyone....LitWorld's "World Read Aloud Day"
On March 6th, thousands of people from all over the world will come together to celebrate and bring awareness to literacy as a human right. Celebrate by reading aloud, giving away a book, or taking action in any way you can to "Read It Forward" on behalf of the 793 million people who cannot yet read or write. 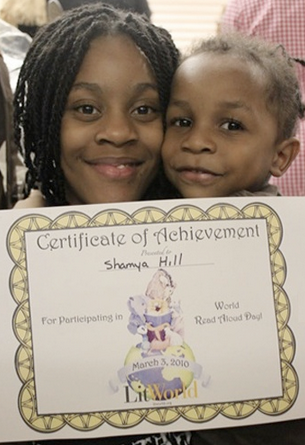 World Read Aloud Day creates a community of people who are advocating for every child's right to learn to read and technology that will make them lifelong readers. Everyone can change the world by "Reading It Forward" with loved ones or new friends. We can create a ripple effect that resonates around the world with the power of story and shared words. LitWorld, the organization that founded World Read Aloud Day, offers free downloadable activity kits full of ideas for children, teens, families, educators and professionals at the World Read Aloud Day Activities page. 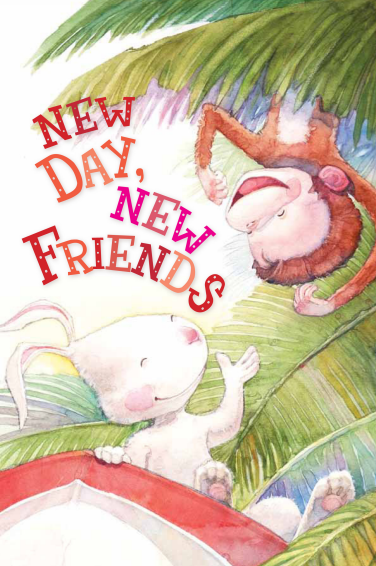 On this page, you can even download this adorable little book New Day, New Friends by C. Alexander London. It is a wonderful story to share with children any day. I am so excited to be part of the Social Media WRADvocate Team, along with other awesome friends. 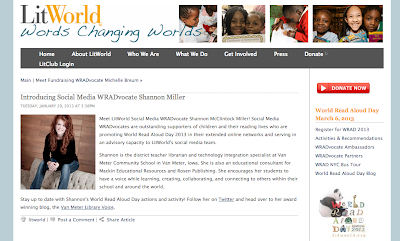 We will be sharing our experiences and ideas on the World Read Aloud Day Blog and on Twitter. We are planning our World Read Aloud Day (Week) at Van Meter by connecting with our favorite authors, special guests, and other schools around the world. Our community comes together by supporting the right to read with very special activities and events. This is one of the BEST days of the year. 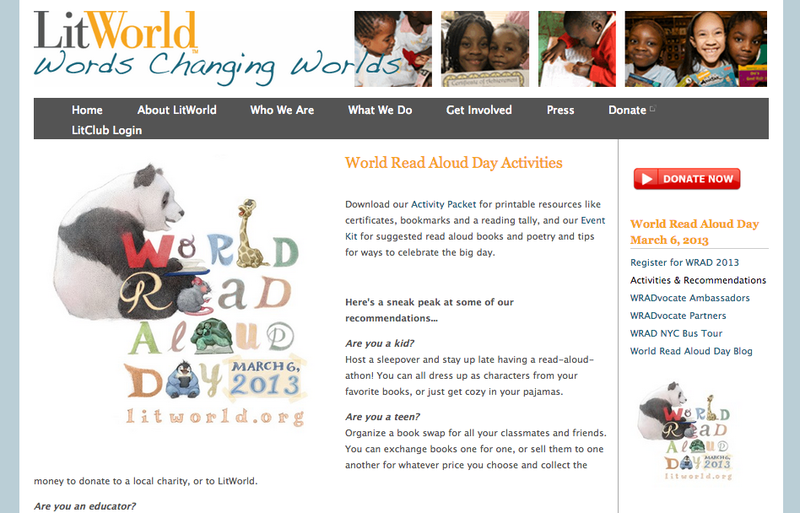 You can connect with LitWorlds on Twitter at @litworldsays and by using the hashtag #WRAD13 for World Read Aloud Day. Also, on the LitWorld Facebook page. 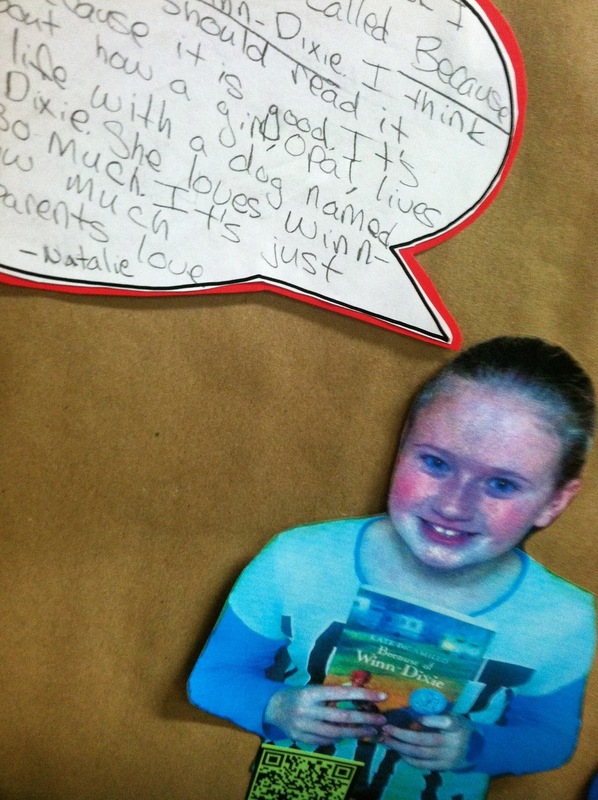 We hope you will all join us in celebrating literacy on March 6th for World Read Aloud Day. Please register for World Read Aloud Day and bring your children, family, students, teachers, friends, parents, community, network, work place, church, and the world along. It's time for all of us to join the global literacy movement. We can all make a difference.